A team of researchers has discovered the first naturally fluorescent frog in Argentina. The discovery was made when Argentine and Brazilian scientists at the Bernardino Rivadaiva Natural Sciences Museum were studying the metabolic origin of pigments in a tree-frog species common in South America. According to the study published on March 13 in Proceedings of the National Academy of Sciences, it is the "first scientific record of a fluorescent frog". Under normal light, the South American polka-dot tree frog (Hypsiboas punctatus) has a muted shade of greens, yellows and reds. But once the lights are dimmed, this little amphibian emits a bright blue and green glow. The ability to absorb light at short wavelengths and re-emit it at longer wavelengths, which is called fluorescence, is rare in terrestrial animals. Until now, this feature was unheard of in amphibians. 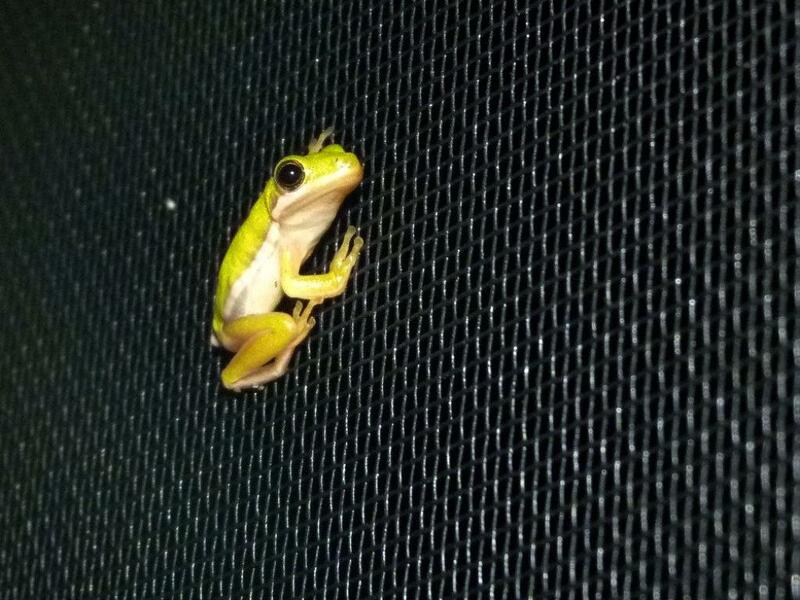 Interestingly, this unique tree frog uses fluorescent molecules that are completely different from those found in other animals. Three molecules—hyloin-L1, hyloin-L2 and hyloin-G1—in the frog’s lymph tissue, skin and glandular secretions are responsible for the green fluorescence. Similar molecules are found in plants. These newly described molecules provide about 18 per cent as much visible light as a full moon. Fluorescence doesn’t happen in total darkness and it needs absorption of light. That is how it is different from bioluminescence, in which organisms generate their own light through chemical reactions. Some ocean creatures like corals, fish, sharks and a sea turtle (Eretmochelys imbricata) have the ability to fluoresce. On land, only parrots and some scorpions are believed to have the ability to fluoresce. However, it is not yet clear as to why these animals have this ability. According to the researchers, the discovery "radically modifies what is known about fluorescence in terrestrial environments, allowing the discovery of new fluorescent compounds that may have scientific or technological applications." In order to ensure that the phenomenon was not due to the frog`s captivity, the team studied some 200 more specimens and detected the fluorescent properties in all of them. According to Maria Lagorio, an independent researcher and expert in fluorescence, the trait is common in aquatic species and some insects, "but has never been scientifically reported in amphibians." The discovery also raises questions about visual communication in amphibians. As of now, nothing is known about the tree frog’s photoreceptors (visual systems). Hence, Carlos Taboada, a herpetologist at the University of Buenos Aires in Argentina, plans to study these to determine whether the frogs can see their own fluorescence.